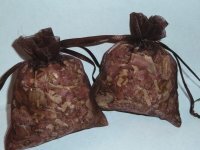 The smell of fresh peppermint abounds in our peppermint sachet set ! 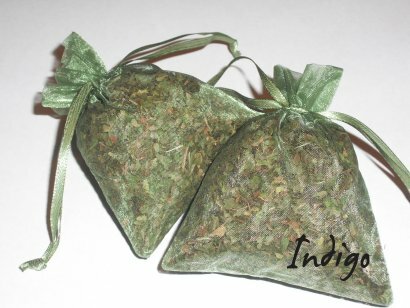 Fresh domestic peppermint fills the delicate green colored organza bags. Not only do they smell great, but they look great too ! This set contains two 3/8 oz. 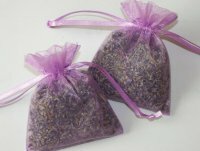 filled bags that are great for drawers, closets, linens, lockers, vacuum cleaner bags, automobiles and also make great wedding or bridal shower favors !